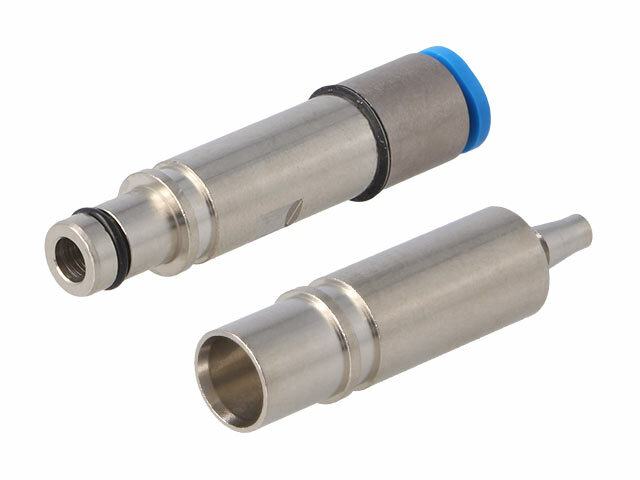 Han Modular Pneumatic series metal pneumatic fittings from Harting. TME’s offer has been enriched by new pneumatic fittings from HARTING. These brass fittings now supplement the offer of pneumatic fittings from the Han Modular Pneumatic series. The main difference between them and the plastic version is the mechanical durability (10,000 cycles) and operating pressure (10bar). The new insert for contact mounting allows pulling out, which could not be done in the older version. They come in three types, i.e. male, female, and female with integrated cut-off valve. Each type is available for six types of different wires: OD 3, 4, 6mm, and ID 3, 4, 6mm.